George Miller (Gyorgy Molnar) started his career in content marketing and has started working as an Editor/Content Manager for our company in 2016. George has acquired many experiences when it comes to interviews and newsworthy content becoming Head of Content in 2017. 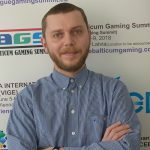 He is responsible for the news being shared on multiple websites that are part of the European Gaming Media Network. George also handles the B2B sales in our events division.